Build a model of the third heaviest land mammal with the smallest building blocks in the world! Nicknamed the "river horse," the hippopotamus can weigh up to 3,300 pounds and is one of the most dangerous animals in Africa. 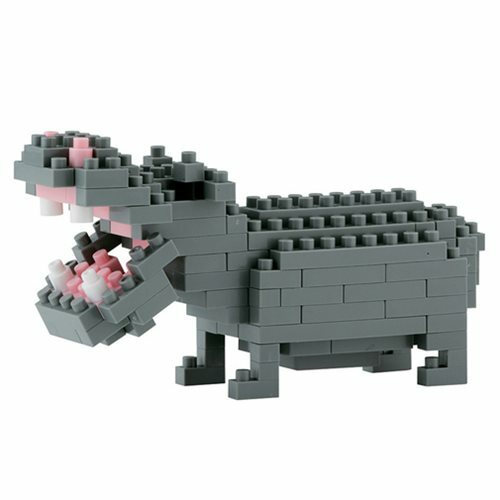 This amazing Hippopotamus Nanoblock Constructible Figure, however, will fit in the palm of your hand when finished! A moderately challenging building set for beginner building block fans, the set features over 130 gray, white, and pink micro building blocks, allowing you to build in greater detail.